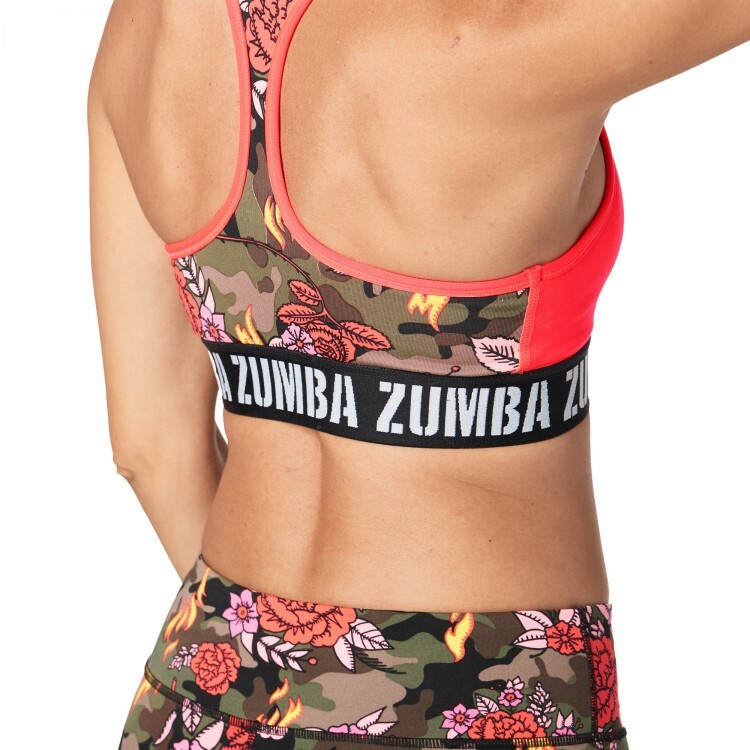 Show em what you are made of in the Zumba® Revolution Sizzle Bra! 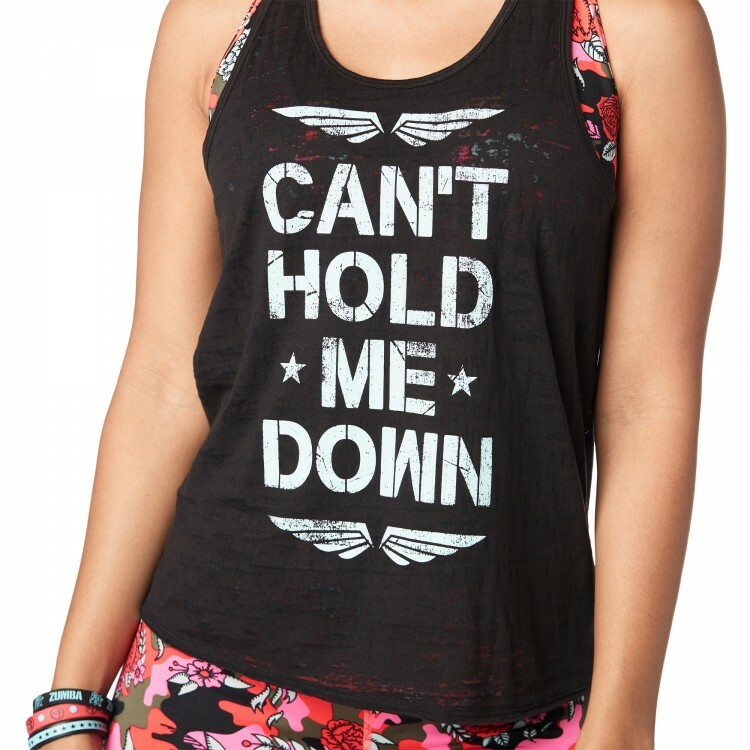 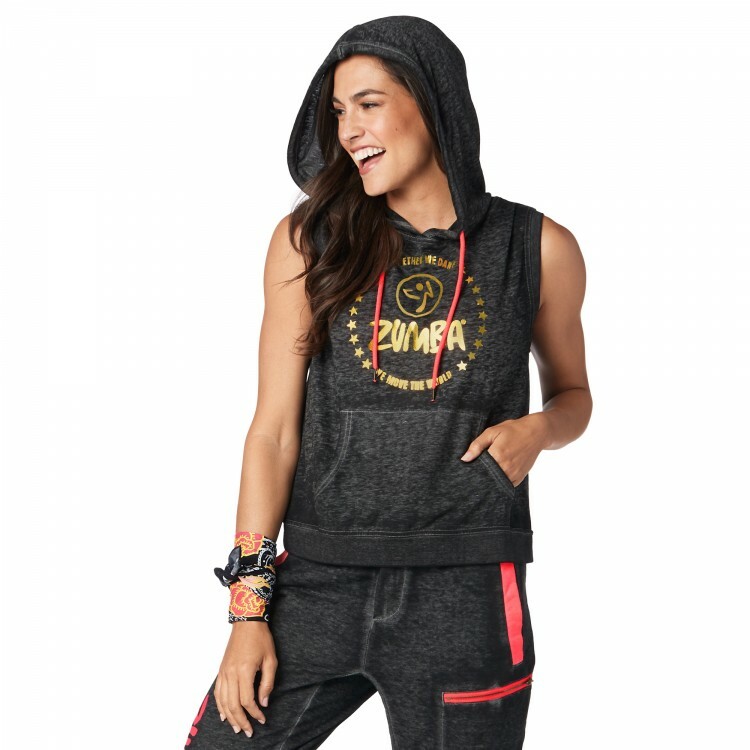 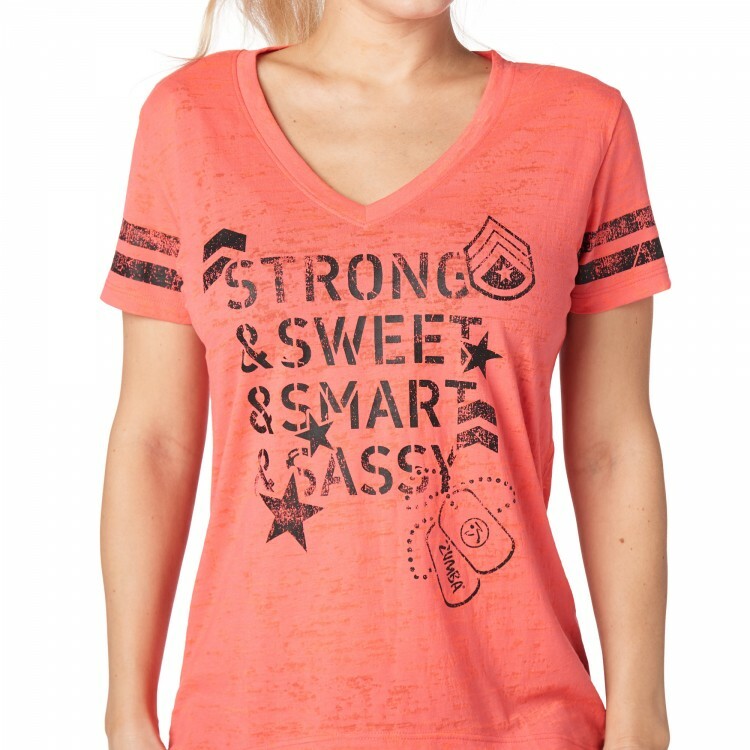 With a solid front and funky printed back, this fan fave style offers medium support and removable cups. 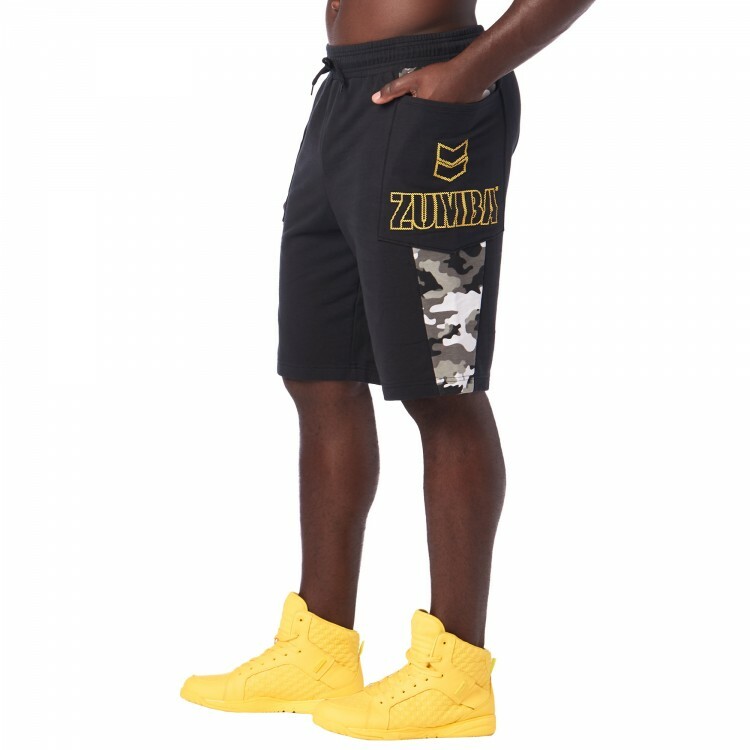 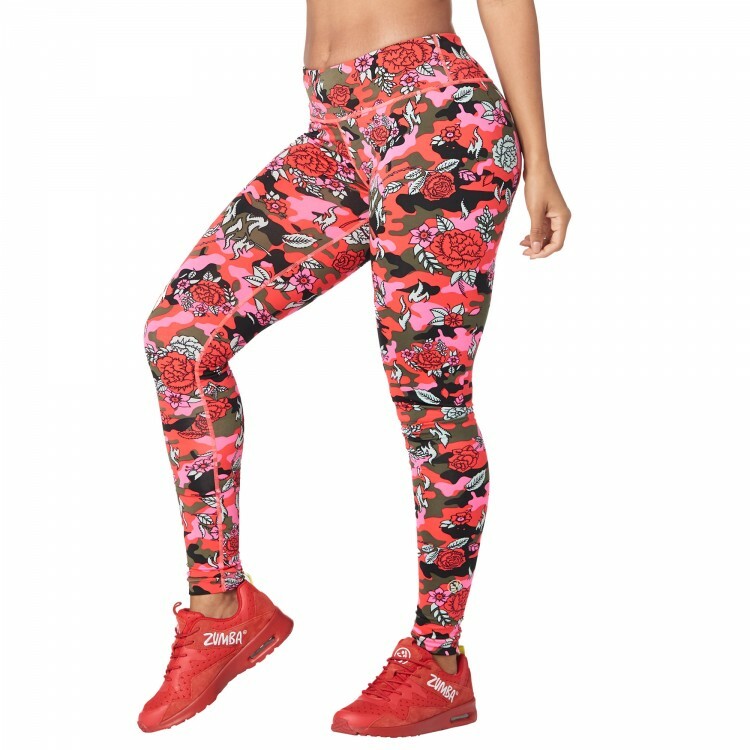 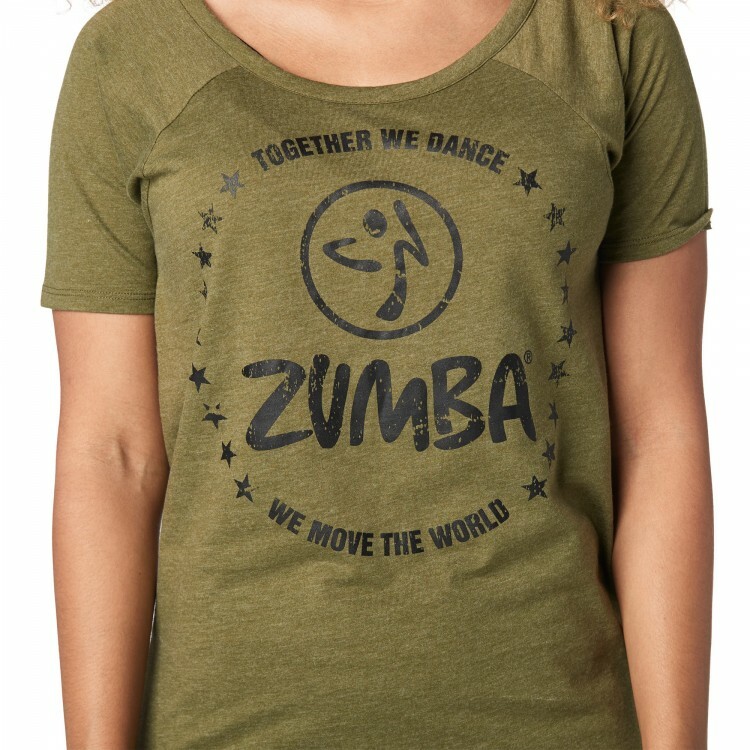 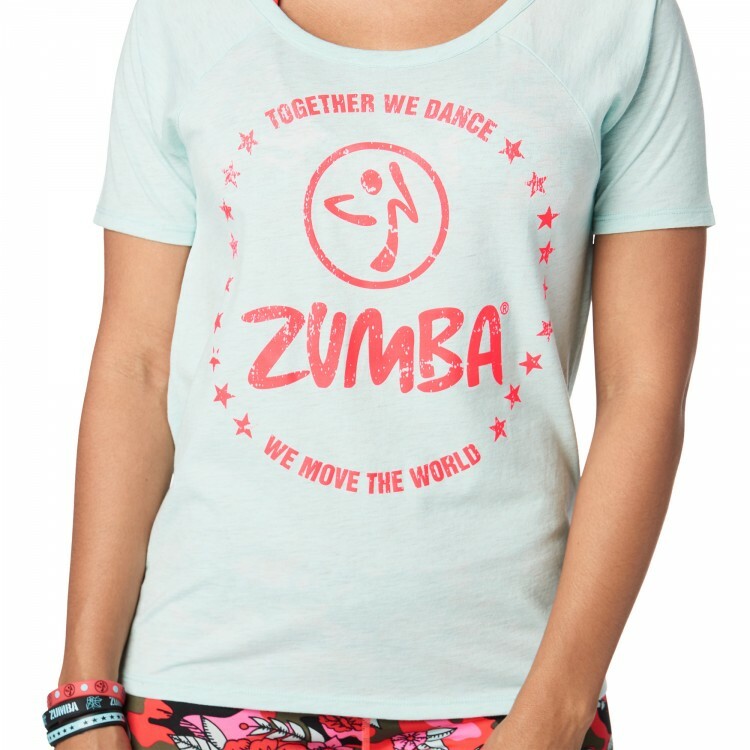 Jacquard Elastic that says "Zumba®"